Retirement migration of the baby boomers in Australia: Beach, bush or busted? Challenges facing Eritrea in growth and poverty reduction policies: Does Microfinance help? Kifle, Temesgen (2009). Challenges facing Eritrea in growth and poverty reduction policies: Does Microfinance help?. In Karl Wohlmuth, Reuben Adeolu Alabi, Philippe Burger, Achim Gutowski, Afeikhena Jerome, Tobias Knedlik, Mareike Meyn and Tino Urban (Ed. ), New Growth and Poverty Alleviation Strategies for Africa - Institutional and Local Perspectives (pp. 299-320) Piscataway, NJ, USA: Transaction Publishers. Kifle, Temesgen (2007). Promoting renewable energy technologies in Africa: efforts and challenges. In Hans-Heinrich Bass, Tobias Knedlik, Mareike Meyn and Maren Wiegand-Kottisch (Ed. ), Ökonomische Systeme im Wandel der Weltwirtschaft (Economic Systems in a Changing World Economy): Festschrift zum 65. Geburtstag von Professor Dr. Karl Wohlmuth. Festschrift in Honour of the 65th Birthday of Professor Dr Karl Wohlmuth (pp. 463-472) Reihe: Institut für Weltwirtschaft und Internationales Management. Kifle, Temesgen (2006). 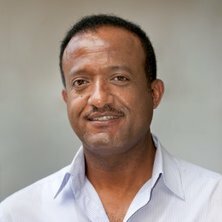 Development prospects of the Eritrean fishing industry: Lessons to be learned from fish producer developing countries. In Tobias Knedlik, Mareike Meyn, Karl Wohlmut, Achim Gutowski, Mohammed Hussain and Phillippe Burger (Ed. ), Africa - Escaping the Primary Commodities Dilemma (pp. 287-313) Bremen, Germany: Lit Verlag. Kifle, Temesgen (2004). Educational Policy and Small and Medium Enterprises (SMEs) Development in Eritrea. In K. Wohlmuth and et al (Ed. ), Private and Public Sectors: Towards a Balance (pp. 215-239) University of Bremen: Lit Verlag. The assimilation of Australian immigrants: does occupation matter? The power of the pram: do young children determine female job satisfaction? Kifle, T (2009) Far from home but altruistic in nature: Evidence from Eritrean-born people in Australia. The Australasian Review of African Studies, 30 2: 86-97. Kifle, T. and Kler, P. (2008) The financial satisfaction of African immigrants in Australia. Australasian Review of African Studies, 23 1-2: 66-77. Kifle, Temesgen (2007) Do Remittances Encourage Investment in Education? Evidence from Eritrea. GEFAME Journal of African Studies, 4 7: . Kifle, Temesgen (2007) Education and the Gender Wage Gap in Eritrea's Formal Labour Market. The Australasian Review of African Studies (ARAS), 28 111-137. Kifle, Temesgen (2007) The Private Rate of Return to Schooling: Evidence from Eritrea. Essays In Education, 21 77-99. Kifle, Temesgen and Kler, Parvinder (2011). Are women really that happy at work? Australian evidence on the 'Contented Female'. In: HILDA Conference 2011 proceedings. 2011 HILDA Survey Research Conference, Melbourne, VIC, Australia, (1-32). 14-15 July 2011. Kifle, Temesgen (2010). The determinants of subjective well-being of immigrants in Australia: The case of African Australians. In: 33rd African Studies Association of Australasia and the Pacific (AFSAAP) Conference, Melbourne, Australia, (). 2-4 December 2010. Kifle, Temesgen (2008). Africa hit hardest by global warming despite its low greenhouse gas emissions. In: Building a Common Future: The African Studies Association of Australasia and the Pacific 31st AFSAAP conference, Melbourne, VIC, Australia, (). 26-28 November 2008. Kifle, Temesgen (2008). The determinants of life satisfaction for African immigrants in Australia. In: Africans in Australia and outsiders in Africa: The African Studies Association of Australasia and the Pacific 30th AFSAAP conference, Canberra, ACT, Australia, (). 31 January-2 February 2008. Kifle, Temesgen and Kler, Parvinder (2007). Job Satisfaction and Gender: Evidence From Australia. In: Proceedings of the 36th Australian Conference of Economists (CD-ROM). 36th Australian Conference of Economists 2007, Hobart, Australia, (1-34). 24-26 September, 2007. Kifle, Temesgen and Kler, Parvinder (2007). Job satisfaction and gender: Evidence from Australia. In: Conference proceedings: HILDA Survey Research Conference 2007 - Papers. HILDA Survey Research Conference 2007, Melbourne, VIC, Australia, (-36). 19-20 July 2007. Kifle, Temesgen (2007). The effect of immigration on the earnings of native-born workers: Evidence from Australia. In: Proceedings of the 36th Australian Conference of Economists (CD-ROM). 36th Australian Conference of Economists 2007, Hobart, Australia, (1-20). 24-26 September 2007. Kifle, T. (2006). The gender wage gap in Eritrea's Formal Labour Market. In: Proceedings of: 29th Annual AFSAAP Conference -- "Africa: Reconstruction and Renaissance," 20-23 September 2006, Macquarie University, Sidney, Australia. The 29th African Studies Association of Australasia and the Pacific (AFSAAP) annual conference, Flinders Univ., SA, (). 20-23 September 2006. Kifle, Temesgen (2006). The impact of labour market mismatch on earnings: The case of Eritrea. In: Garry MacDonald, Proceedings of the 35th Australian Conference of Economists. The 35th Australian Conference of Economists, Perth, Western Australia, Australia, (1-23). 25-27 September 2006. Alauddin, Mohammad and kifle, Temesgen (2014). Does the student evaluation of teaching instrument really measure instructors teaching effectiveness? An econometric analysis of students perceptions in economics courses. School of Economics Discussion Paper Series 516, School of Economics, University of Queensland. Kler, Parvinder S. and Kifle, Temesgen (2007). Job Satisfaction and Gender: Evidence From Australia. Labour Economics Research Group (LERG) Discussion Paper 20, Centre for Economic Policy Modelling (CEPM) at the School of Economics, University of Queensland.